If you follow my blog don’t expect consistency! I can bounce from project to project in an hours time. 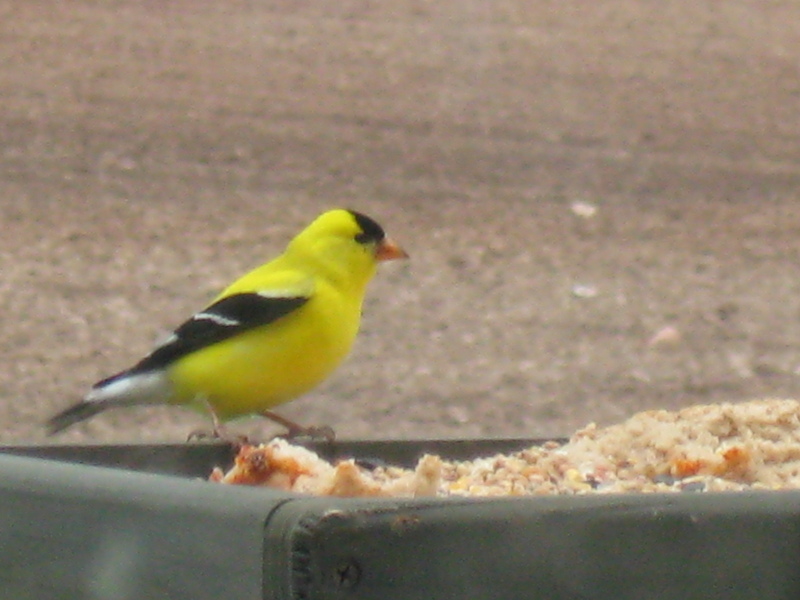 This morning I am stepping aside from the woodworking and gardening projects to start a backyard bird blog. 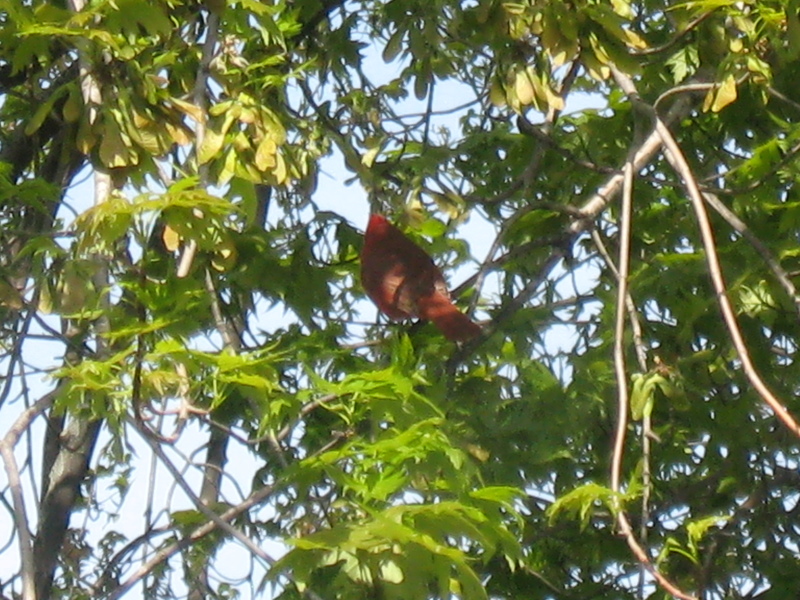 Like the other posts I have, this one will be updated as new birds show up and I get better pictures of the regulars. Let me start out with some geography. I live in southeastern Wisconsin, about 10 miles from Lake Michigan. I live on a dead end road with an 800 foot driveway. I cannot see my neighbors and they can’t see me! I am basically surrounded by farm fields and a 20 acre woodlot is the backyard. I don’t own all of it, or even most of it…just enough of it. 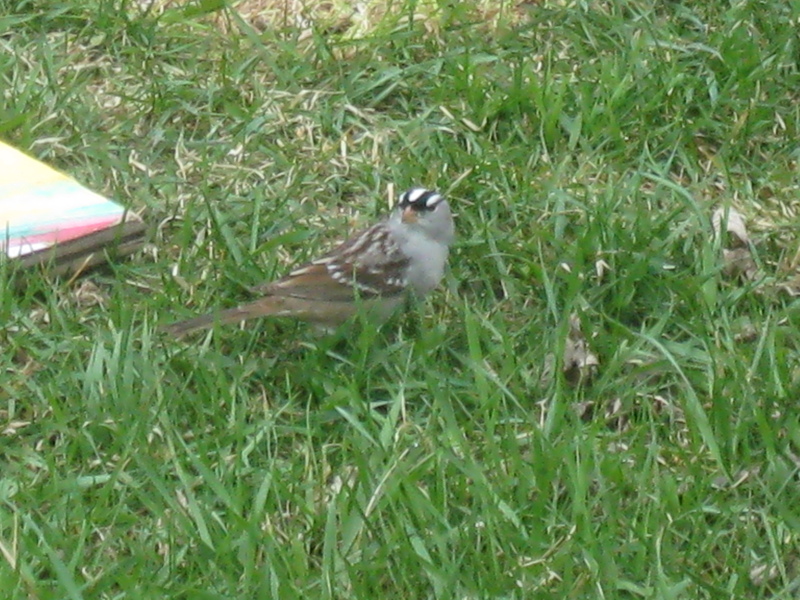 My family and I are not total expert bird watchers, so don’t send me pictures of birds asking for ID help. I’ll probably be asking for your help in that department. I’m also far from a great photographer. Again, this is for fun and relaxation. I have two “stations” that we offer feed for the birds. 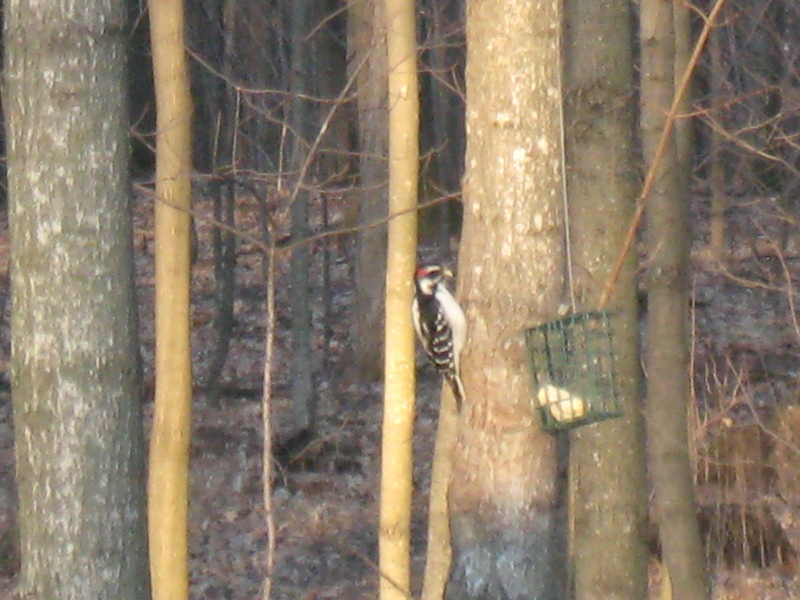 The one in the backyard (woods) is just a suet feeder that attracts woodpeckers and nuthatches. 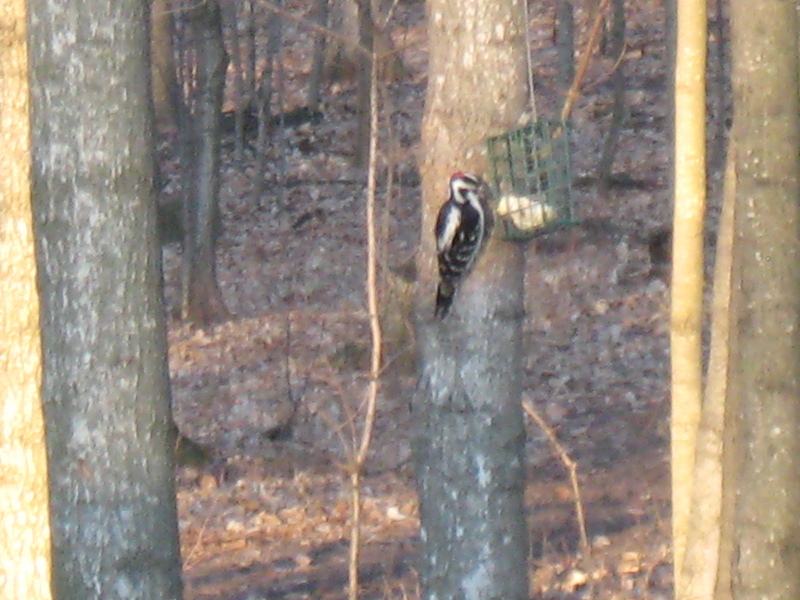 It also attracts the chickens who feed on the suet that the birds drop. Nothing is wasted in nature. 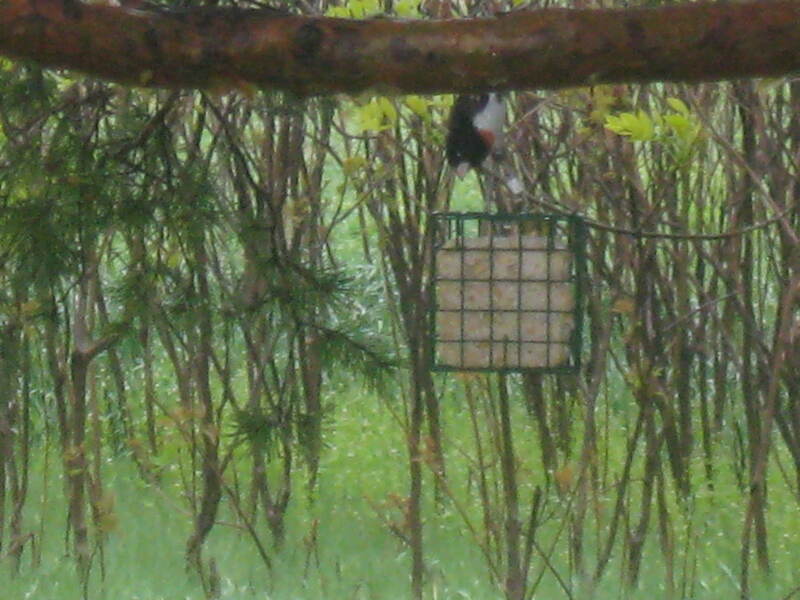 The station in the front yard is another suet feeder and some sock feeders filled will Niger Thistle seed. We usually see a lot of finches at the socks. That’s the basic info. What else do we see? 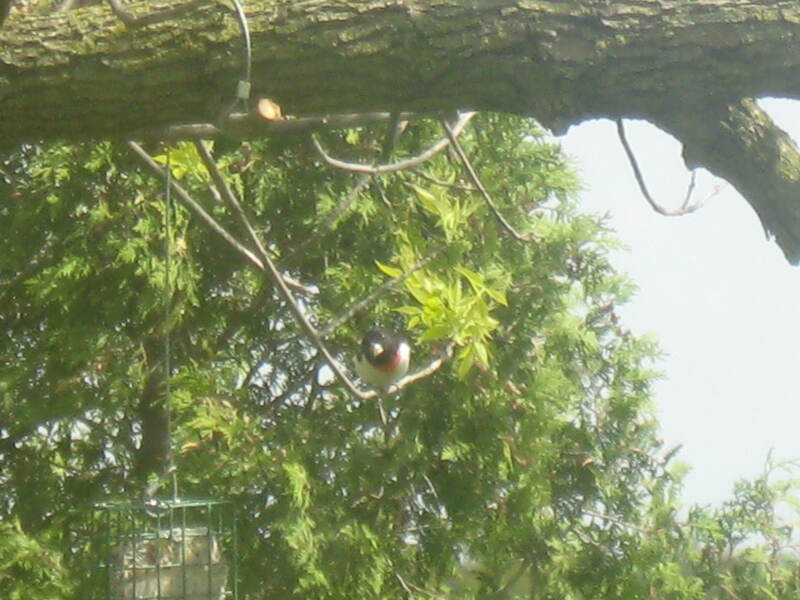 We will also see Robins, Cardinals, Chickadees, Sparrows, and a bunch of birds that I haven’t ID’ed yet. 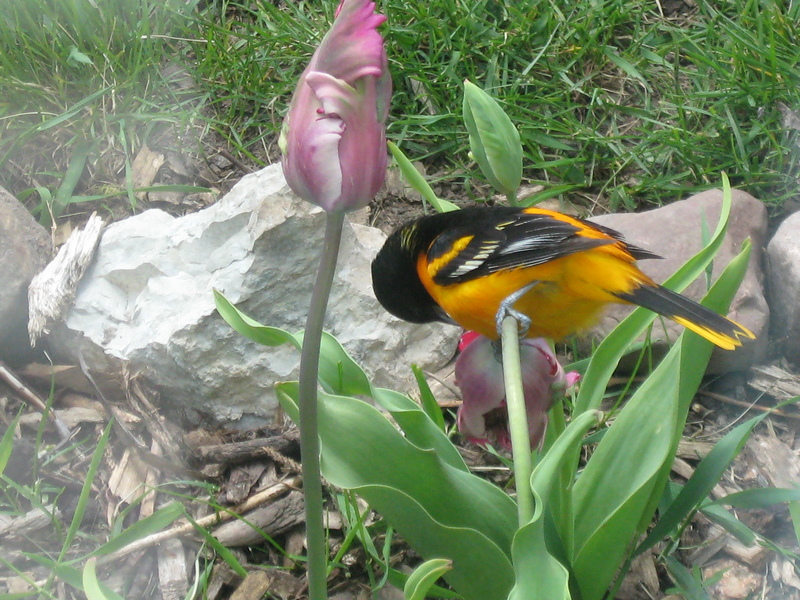 Birds that we see sometimes as they pass through our area are Evening Grosbeaks (I really like them), Baltimore Orioles, and Wood ducks will nest in the woods if we get enough rain/snow melt to fill up the low spot. 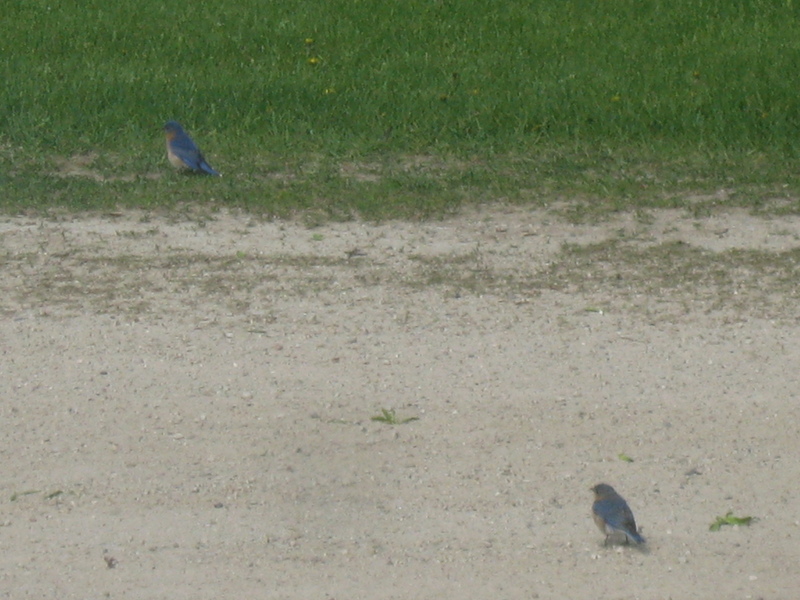 Let’s see, oh and the best…Blue Birds. 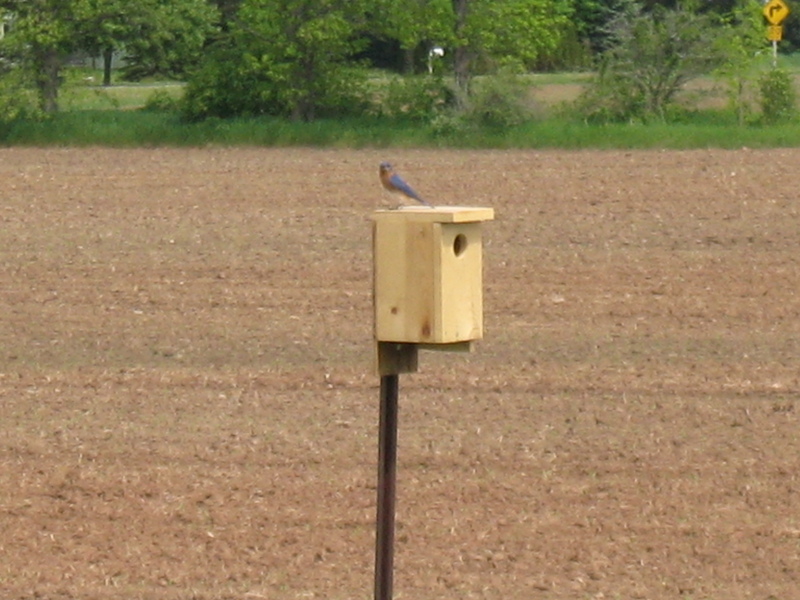 We put up some simple houses on a couple of the goat pasture fences and the bluebirds will use them to raise a brood each year. sat in a tree in the front yard a couple of weeks ago. 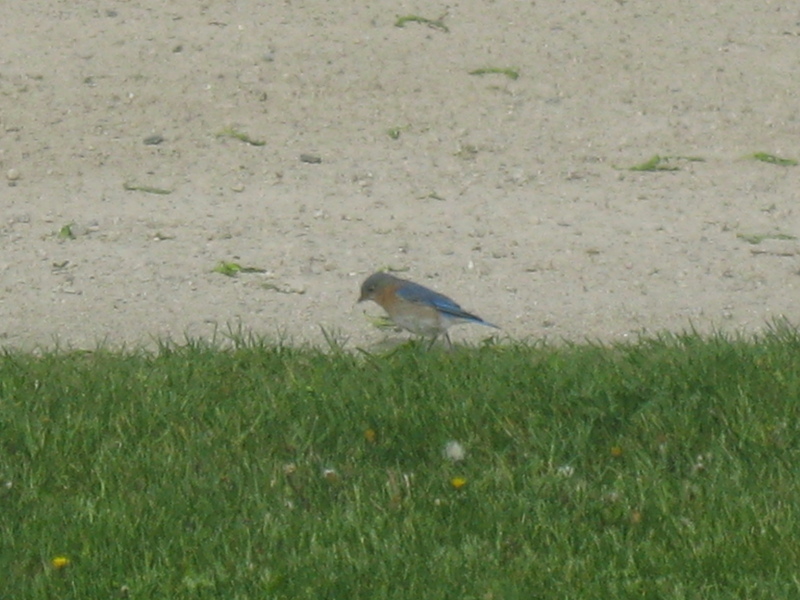 Something must have disturbed it since it was about 10:00 a.m. We also see some hawks, red tailed I think. Because of our close proximity to Lake Michigan and several large marshes we have lots of ducks and geese around as well. Hopefully in fall I can show some harvest pictures. 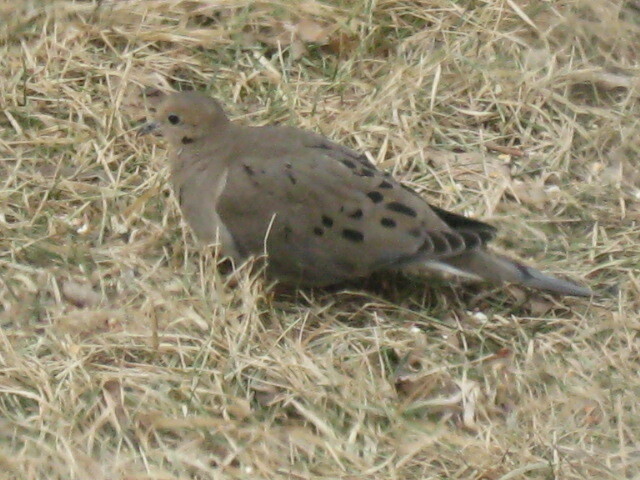 Speaking of hunting, I almost forgot the Mourning Doves and Turkeys! They taste great! So enough of that, I’ll add some pictures and try to keep it organized. Maybe. I don’t enough about WordPress to know if you can post pictures if you leave a comment, but If you can please do! 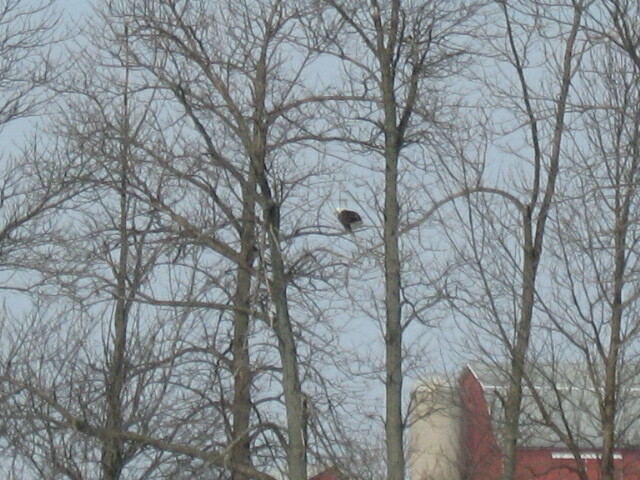 Another bird that I forgot is the Bald Eagle. Actually we don’t see them often at all around home. Where we go camping and fishing up north we see them. Here is one that was about a mile from the house and we were pretty far away from it, but you can tell what it is. 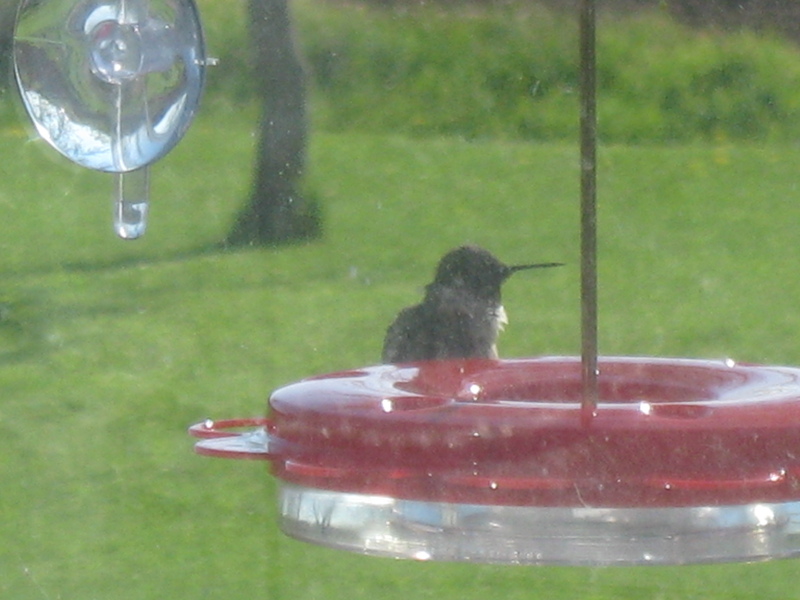 Not the best picture, but we do also see some humming birds. 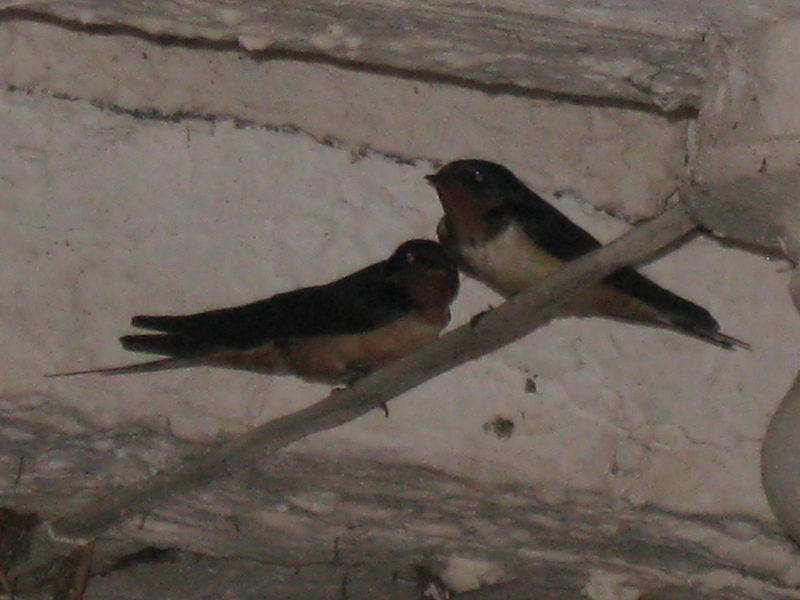 I think they are the ruby throated variety. If anyone can ID this one I would appreciate it. 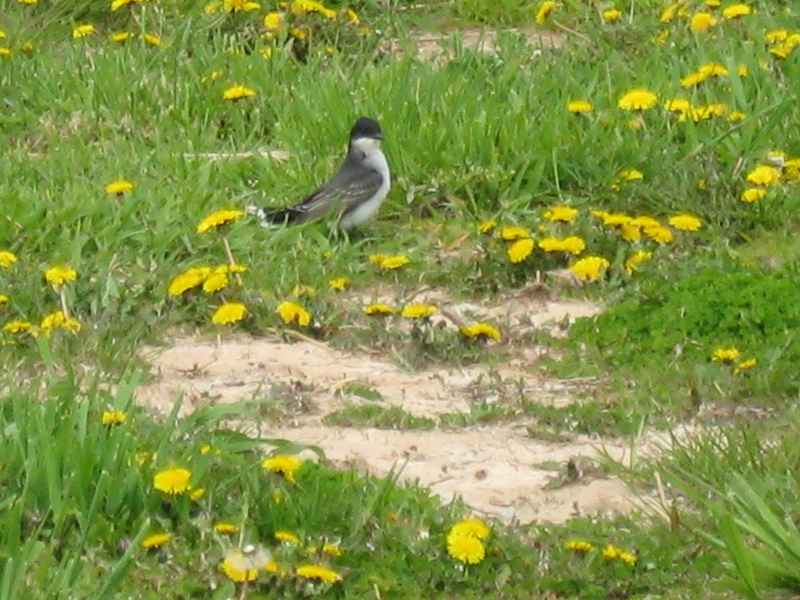 It is an insect eater. I watched it hover and swoop down on something several times. Only saw it one time. 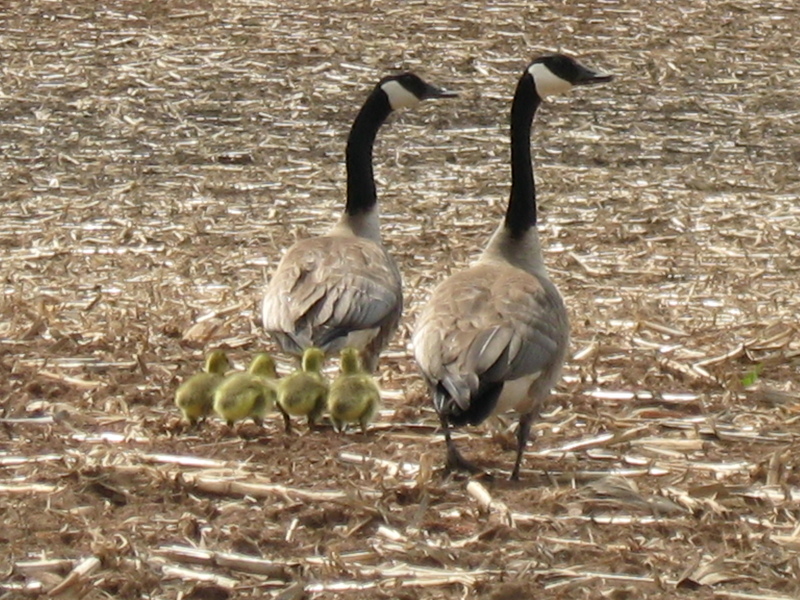 A goose family picture. Or would it be a picture of geese? 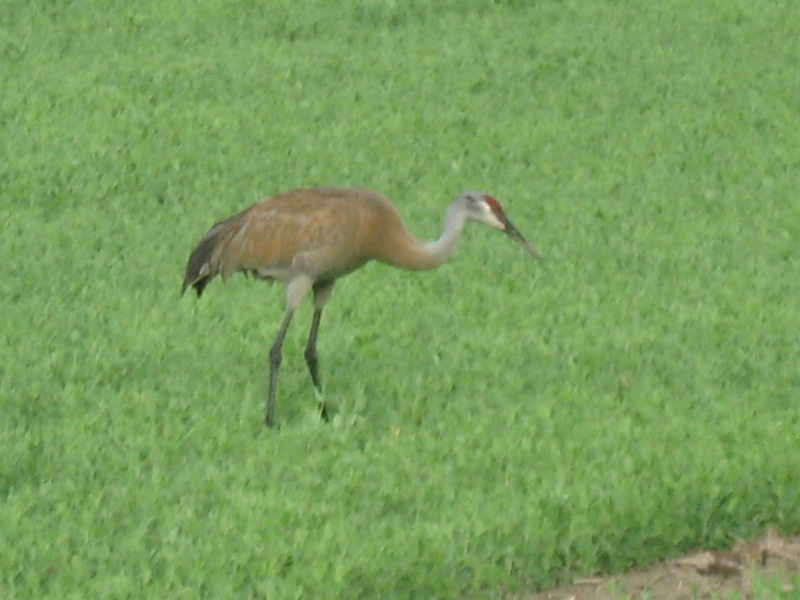 I think this is some kind of heron. Farmers despise them! I don’t know if they eat the freshly planted seeds but the farmers think they do. Either way, they are protected and everywhere in Spring. Wow, this is a big project! I’ll come back and add more later. 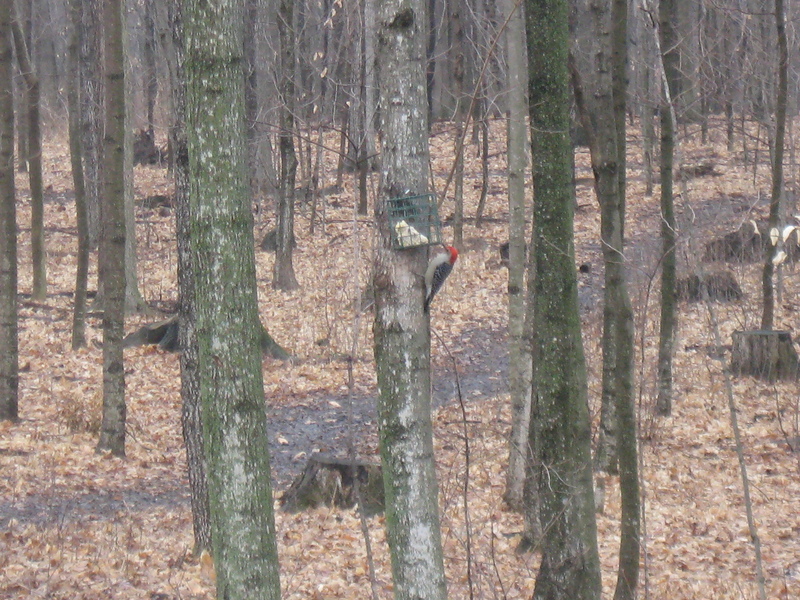 Here are some resident Woodpeckers.